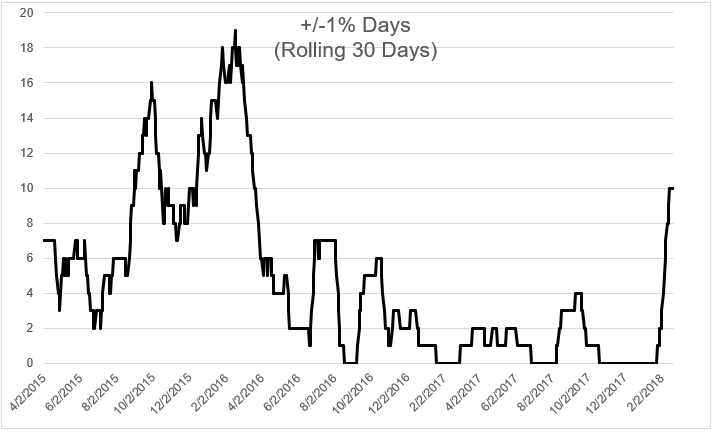 Using rolling 30-day periods, from January 2017 through January 2018 there were 120 readings where the S&P 500 did not have a daily change of greater or less than 1%. To put into context how quiet last year was, from 2000-2016, there were only 59 readings where the S&P 500 did not rise or fall by 1% over the previous 30 days. Small changes were followed by small changes, until they weren’t. 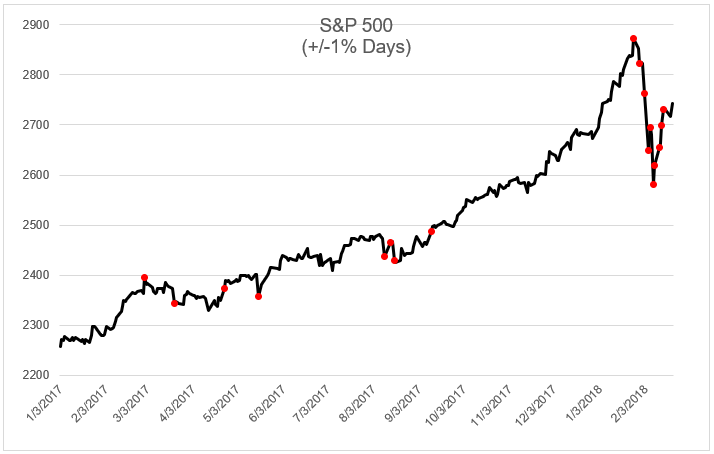 The S&P 500 went 94 days without closing up or down 1%, but in the last 17 days, it has done this 10 times. Another way of saying large changes follow large changes is that volatility tends to cluster. For example, look below at the 25 best (green) and 25 worst days (red) since 1970. What you’ll notice is that the red and the green tend to happen very close to one another. Furthermore, every single one of these 50 readings has occurred in a period of above average volatility. The average 30-day standard deviation since 1970 is 0.92%. 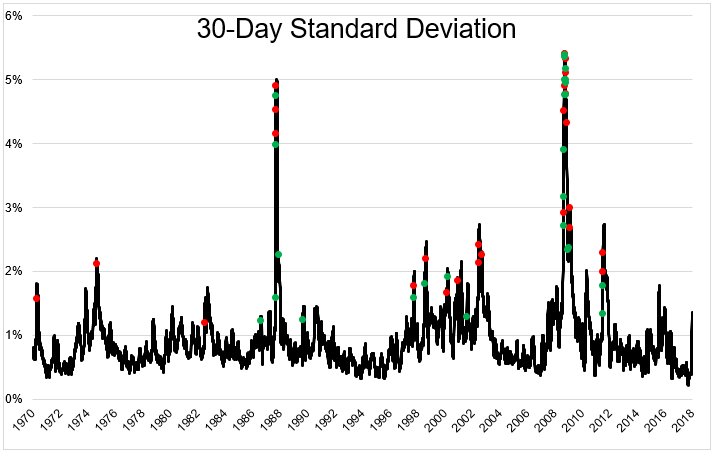 The average 30-day standard deviation of the 50 most extreme days is 3.2%. Today was another wild ride for stocks. In the thirty minutes following the FOMC minutes release, the Dow rose 158 points, only to fall 470 points into the close. Nobody knows when or how or why stocks will return to a period of small changes, but it’s very clear what sort of regime we’re in today.